Discussion in 'A Song For You: The Carpenters Forum' started by Harry, Apr 5, 2019. 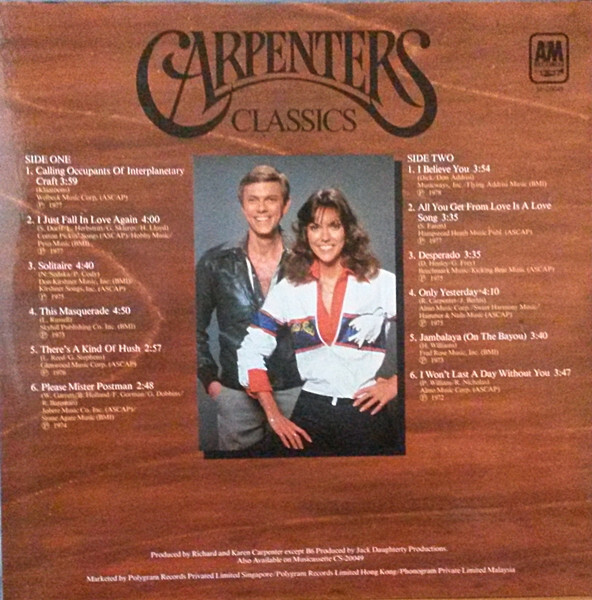 That LP is CARPENTERS CLASSICS , SP 20049, issued in Singapore, Hong Kong, and Malaysia. I can't tell if you're attempting humor here or are serious. Surely you know that CLASSICS VOLUME 1 belonged to Herb Alpert & The Tijuana Brass and Carpenters got VOLUME TWO. It was a straight re-press of the YESTERDAY ONCE MORE comp. There was another LP issued in Brazil called CARPENTERS CLASSICS. Totally different bunch of songs. Even upto about 5 years ago I had no idea that the Classics line from the 80’s was even suppose to include other A&M artists. Even at Legend Records in Ottawa and other record shops I remember asking a few times since they had Vol. 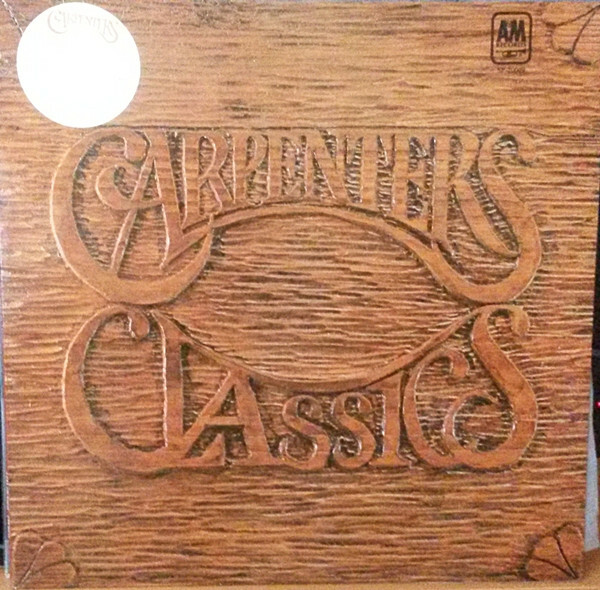 2 in a few times, and they never even thought of other artists, they always thought that there had been a “Carpenters Classics Volume 1” but for whatever reason it had been discontinued by A&M and only Vol. 2 remained in print. And the 25th badge, everyone just assumed it was just A&M’s logo for its 25th Anniversary and not part of the title. I remember when they announced that series when I was at the NARM convention in Miami. I was really excited for new material, only to learn it was a repackage if the YOM set. Huge disappointment when it was released and I saw the song selection. Just a better cover. They could have at least added some different cuts to it. I could see a person not working or visiting a record store really often would think there was a volume 1, but what would be on it??? Well I just saw an old posting from 2017 on this forum about the series. Seems to be the only place online for the entire series list and I noticed that Herb Alpert ha Vol 1 & Vol 20. And the Carpenters & Quincy Jones were the only Double-CD releases; albeit I guess A&M could’ve split the albums up and had “Carpenters Classics Vol 2 & 29”. Isn’t that kinda unusual that Calling Occupants is the edited version on an LP? It's possibly the only appearance of that short track on an album (until the Public TV thing). This album looked like it was a slightly different configuration of a second "SINGLES" album, though some tracks were not singles. The oldest tracks on there are the one from A SONG FOR YOU and another from NOW & THEN. The edited version of Calling Occupants also appeared on the 1983 Australian LP “The Very Best Of The Carpenters”. I’ve got the LP specifically for that edited version. Getting back to the subject of the original post (Carpenters Classics), I received this album back in 1983. It had a poster (folded) in it (same as picture shown on the back cover of this "version" of the album) and the single version of Calling Occupants. I leant the poster to the artist friend of mine that meticulously drew the picture that is my avatar. He used that "Karen" as inspiration.